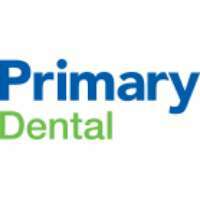 Primary Dental is one of Australia's leading providers of services and facilities for dentists. With our latest equipment and facilities, our dentists are able to provide the highest level of professional dental care for our patients. With the evolution of Primary Health Care Medical Centres over the last 20 years, Primary Dental has also evolved into a network of modern, state-of-the-art dental centres in New South Wales, Queensland, Victoria, South Australia, Western Australia and the Australian Capital Territory. With over 50 locations, our network of dentists offer family and cosmetic dental services, with a comprehensive range of dental treatments available in each centre. Primary Dental has been servicing the needs of families for over 10 years. All of our centres offer flexible appointments, competitive pricing, state of the art equipment and best practice hygiene. Our goal is to exceed your expectations at every step of your treatment. For bookings and enquiries feel free to call or visit Primary Dental Sydney today!